Made By – Sony Music Entertainment Inc. 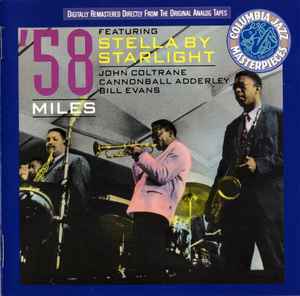 Published By – Jazz Horn Music Inc.
℗ & © 1991 Sony Music Entertainment, Inc.
On Front cover, Back cover and Booklet: "'58 Miles Featuring Stella By Starlight"
On Spine and CD: "58 Sessions Featuring Stella By Starlight". Digital restoration and engineering at Sony Music New York Studio.